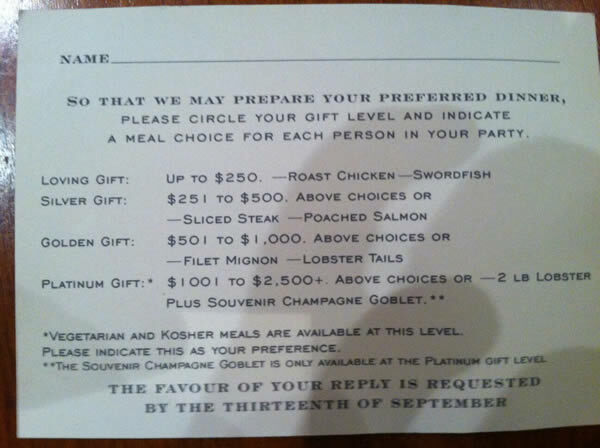 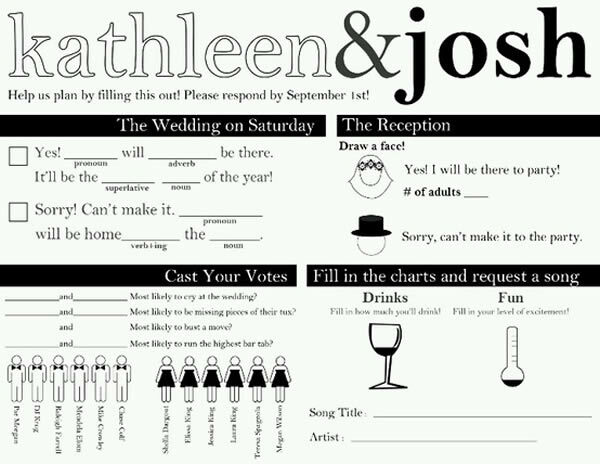 Bob Powers posted this modern version of the wedding RSVP card at Someecards. 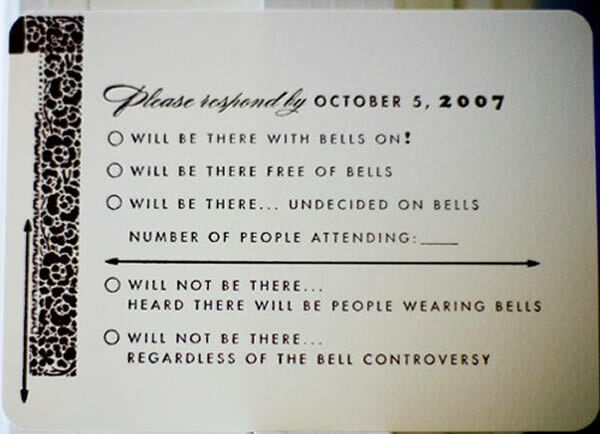 It contains some of the most common obnoxious behavior among wedding guests, and it should have a second page for warnings of any disasters not specified on the first page. 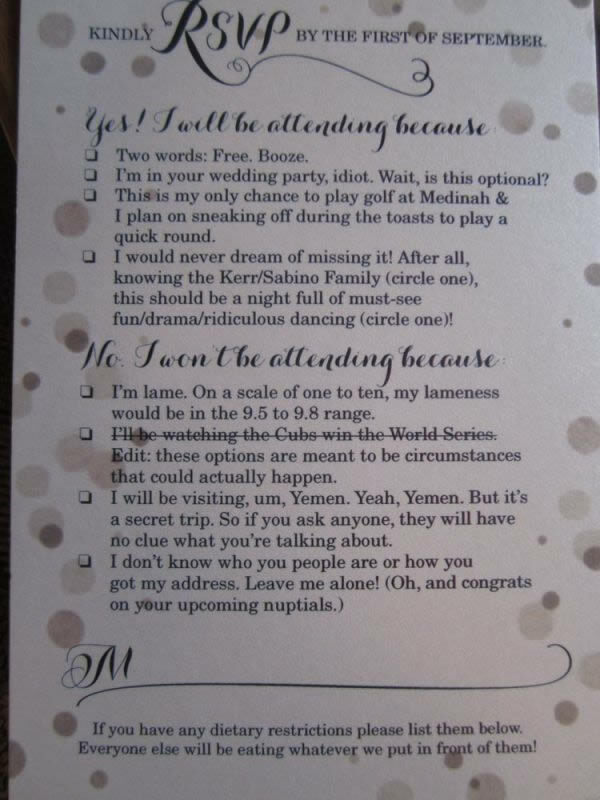 Katie Kerr and Chris Sabino may have a large wedding, or a lot of friends and family heading to Yemen on short notice. 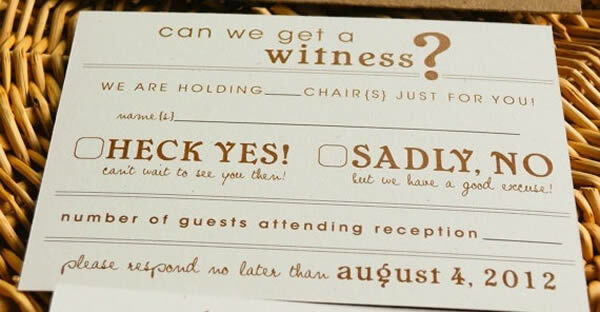 If you do attend, remember to drink at least the value of your wedding gift. 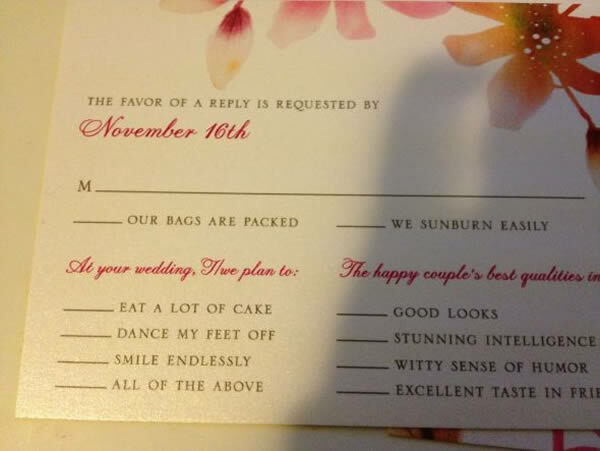 Liz & Dave's RSVP card. 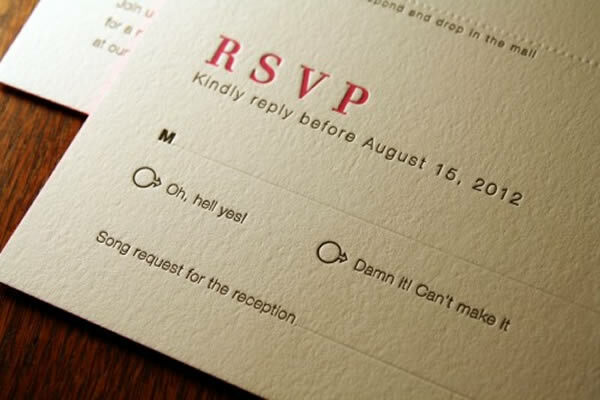 One way to inexpensively shake up the RSVP routine is to add your personality with the responses guests have to choose from. 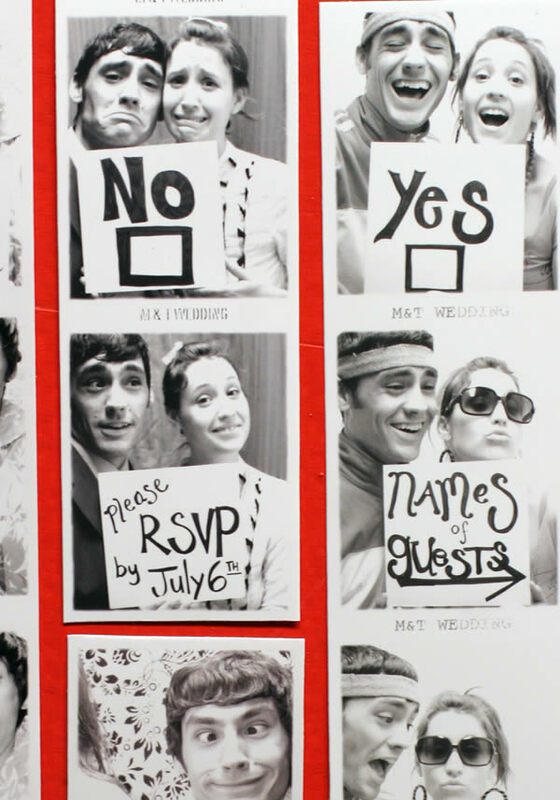 Julia and Jonathan's photo booth RSVP. 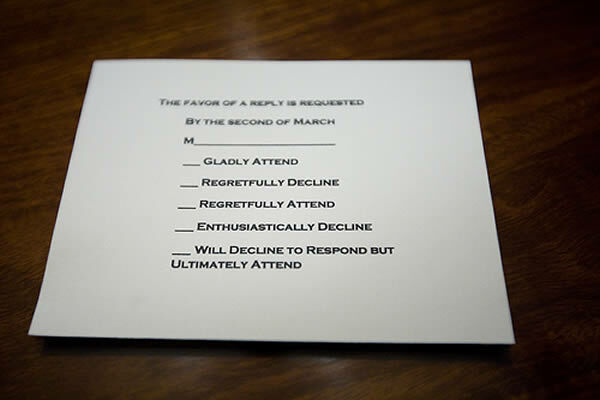 If RSVP cards were truly honest.